← Bumble bees visit, spring’s on the wing! 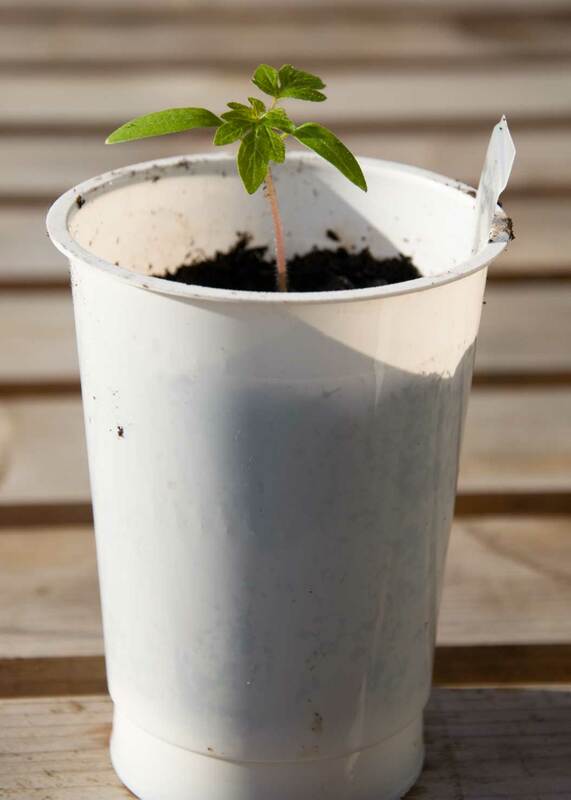 Recycle all you can and save even more money to grow your own food! I’ve just potted up my tomato seedlings, grown in the conservatory to get a good start on the season. I want to grow one for cooking, one for salad and one marmande type for those lovely, juicy huge fruits you can slice and practically make a meal of. I’ve potted them up into old large yogurt cartons with holes in the bottom, made using a hot skewer so they don’t split. The labels are made from old milk containers, cut into strips with scissors. I use a permanent marker to write on them. Ecological use of plastic must be a good thing, don’t you think? Then there’s my favourite tip. Biscuits. You need the boxes. They make excellent little seed trays. There are always some seeds you only want to germinate small quantities of, and normally would be advised to buy quarter sized seed trays. Save your money! 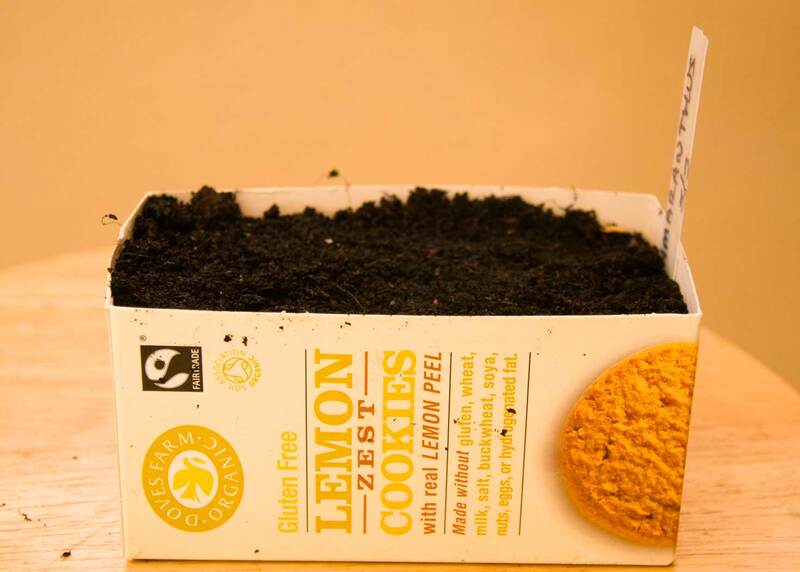 Just pack biscuit boxes with compost and sow in them. 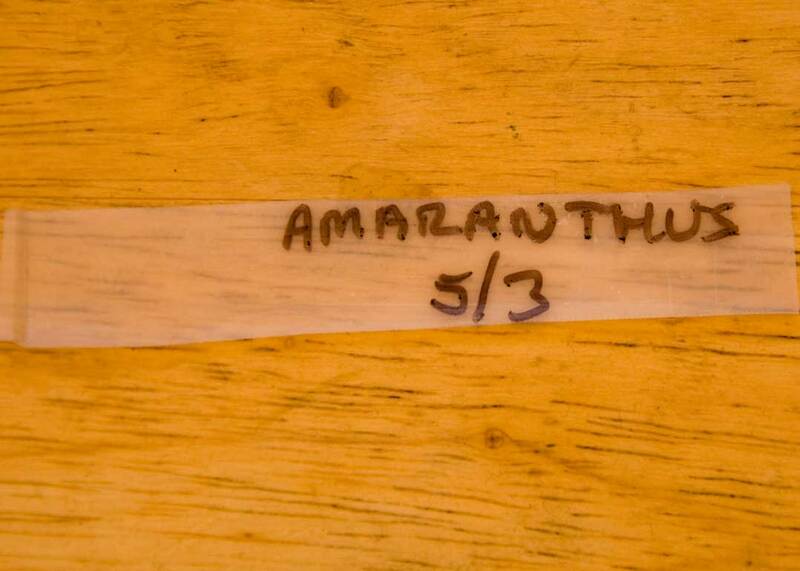 By the time the seedlings need pricking out, you can put the boxes on the compost heap, so they’ll be twice recycled. The dedication required to eat the biscuits first I’m sure won’t be hard to muster! What can you recycle in the garden or your home? This entry was posted in ecology, lifestyle and tagged environment, food, garden, gardening, growing, home improvement, lifestyle, re-cycling. Bookmark the permalink.